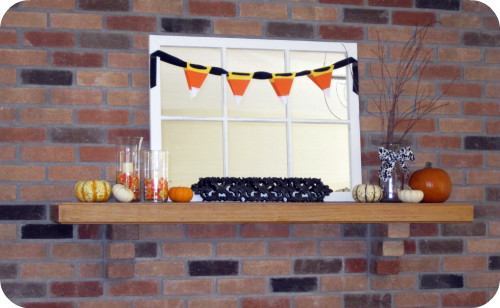 I finally decorated my mantle for Fall/Halloween! Please don’t think that I think this looks good. 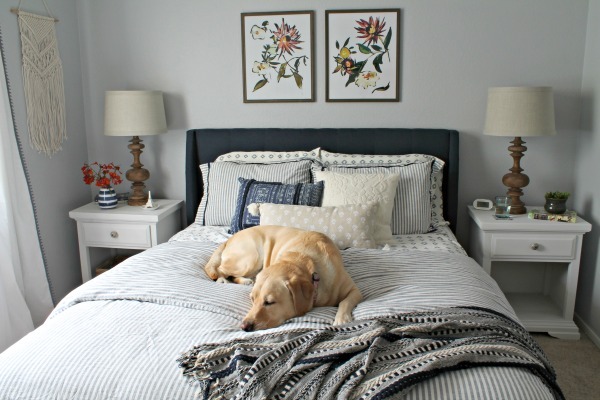 I put some of my favorite pieces up here while I was unpacking and never got around to placing them in their permanent places…oops! 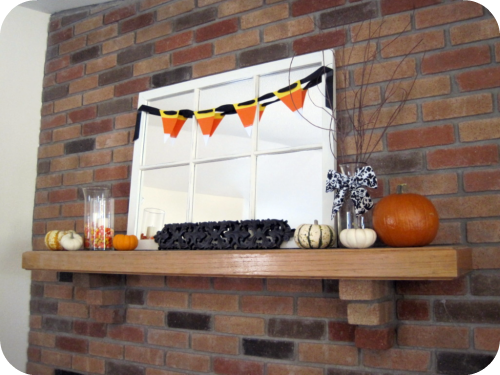 I haven’t done any Fall/Halloween decorating, so I figured I’d start with the mantle (and it was on my list). You probably noticed that I painted the mirror. I used Creamy by SW and I think it looks SO much better white. 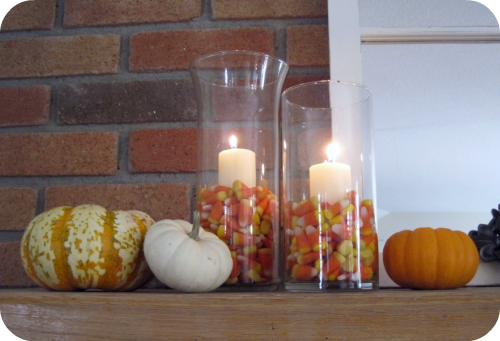 The candy corn candle idea is from Your Decorating Hotline via Pinterest. 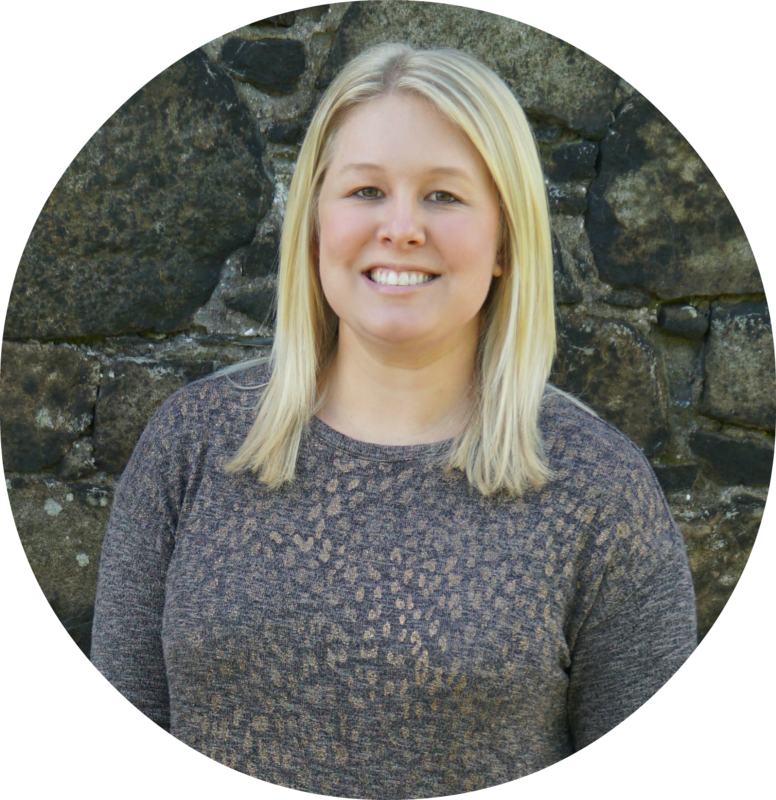 Yes, I actually made something I pinned! I made the bunting using my scrapbook paper stash. I sewed the pieces together with my sewing machine. I think it looks cuter and will probably hold better than glue. I punched 2 holes in each and strung them together on some ribbon. The twigs are from my neighbor’s tree. Branches hanging over my yard = Mine! I used the leftover fabric from my pillow for the bow. The big pumpkin was 99 cents at the grocery store. All of the little pumpkins were 50 cents each at the farmers market. 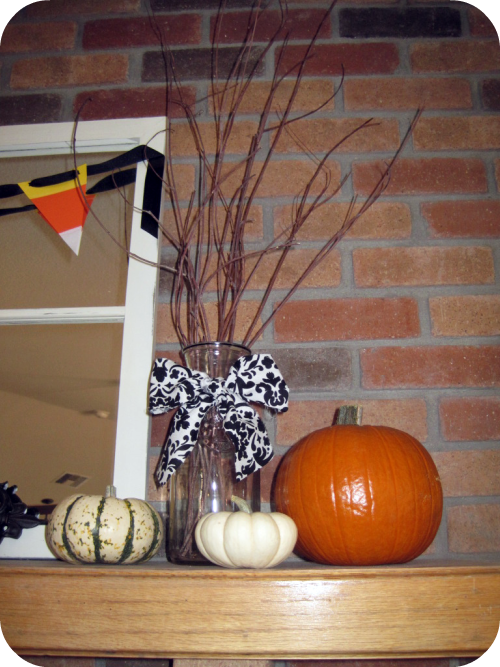 The striped pumpkins are from Wal-Mart - $2.97 for a bag. 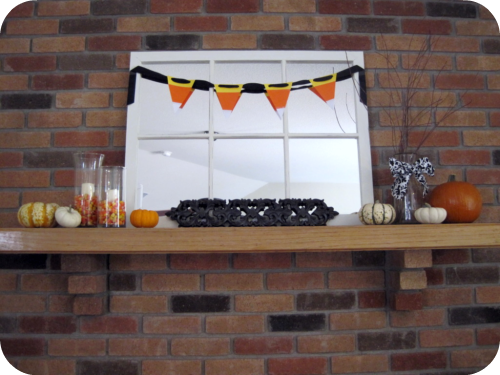 For about $10.00 (pumpkins, candy corn, 2 glass jars) I have a mantle that I’m not ashamed of! Its projects like these that make me wonder what takes me so long! Cool, I've been trying to find some interesting looking small gourds but still only have massive pumpkins which don't fit on the ledge. So I've just gone for fake web and spiders instead - not classy but the kids like it! Snazzy, and not too much! I like it. 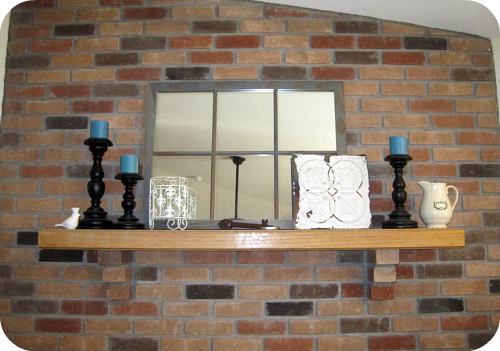 Some of the mantels I've seen are way overdone, like a store display and not a home. I like my house to show along with the holiday. 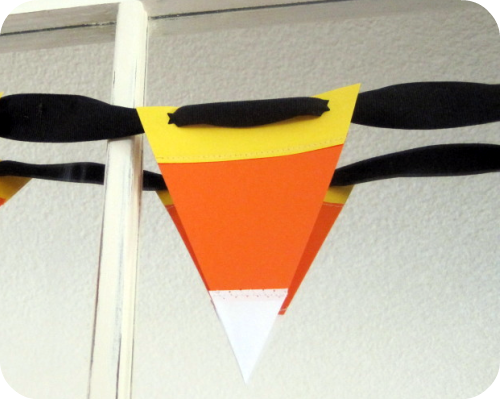 Love the candy corn banner! I like the candy corn candles! I also like the fact that you have a mantle! I am envious! A really real mantle! It's beautiful! Gooddd work!